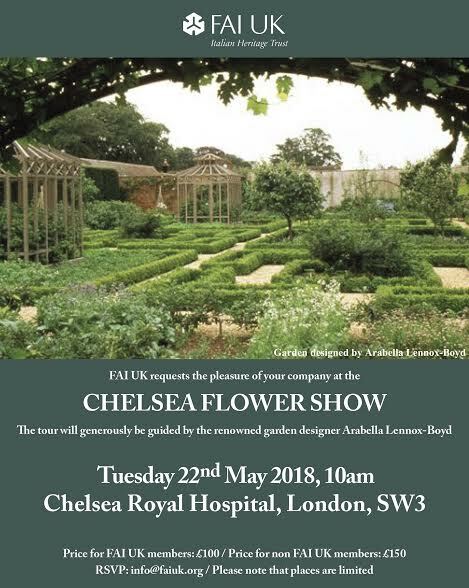 On the 22nd of May 2018 FAI UK – The Italian Heritage Trust organises an exclusive tour of one the most prestigious Flower Show in the world. The renowed garden designer Arabella Lennox- Boyd will guide the FAI members to discover the beauties of the show from 10 am to 12. The members can enjoy the show all day long.